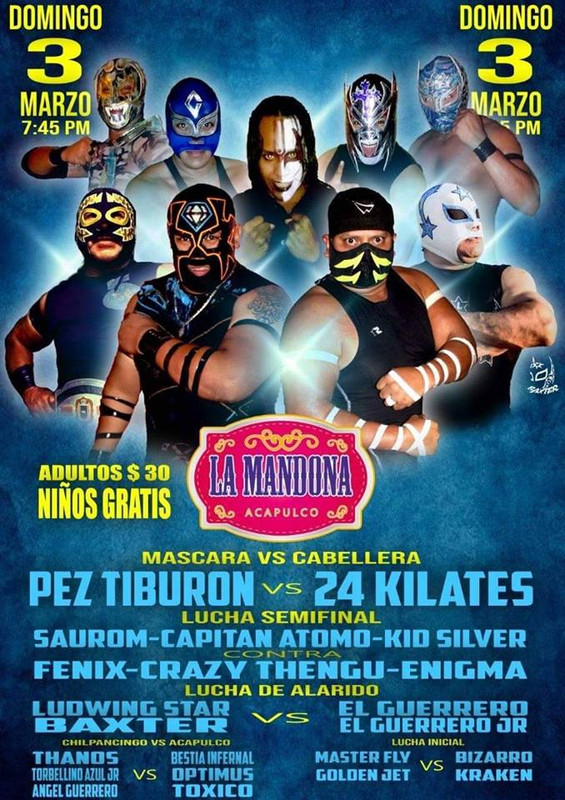 1) Chispita b Eclipse Jr.
1) Golden Jet vs Guerrero Jr.
Pez Tiburon took 24 Kilates' mask. 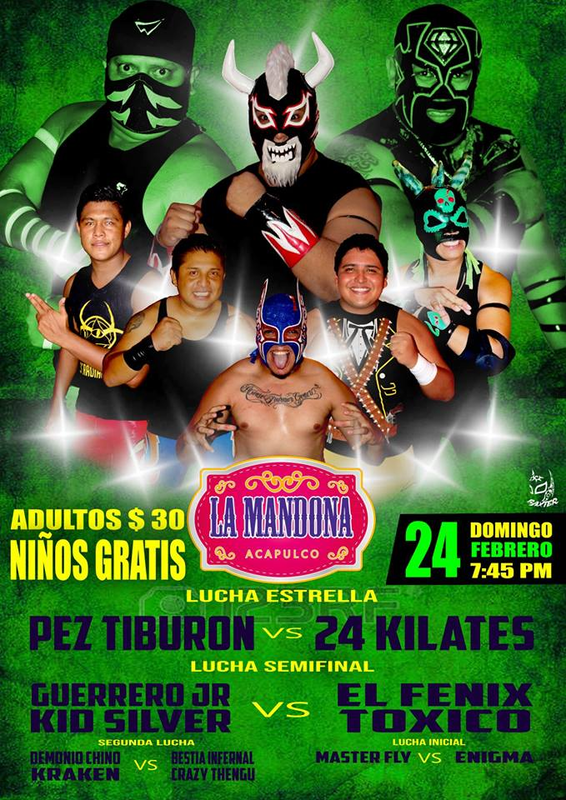 He is Jesús Ivan Quintana, 23, 5 years a wrestler. 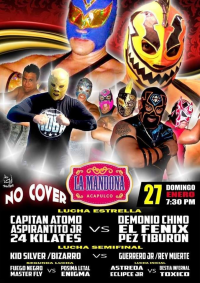 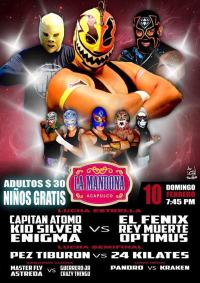 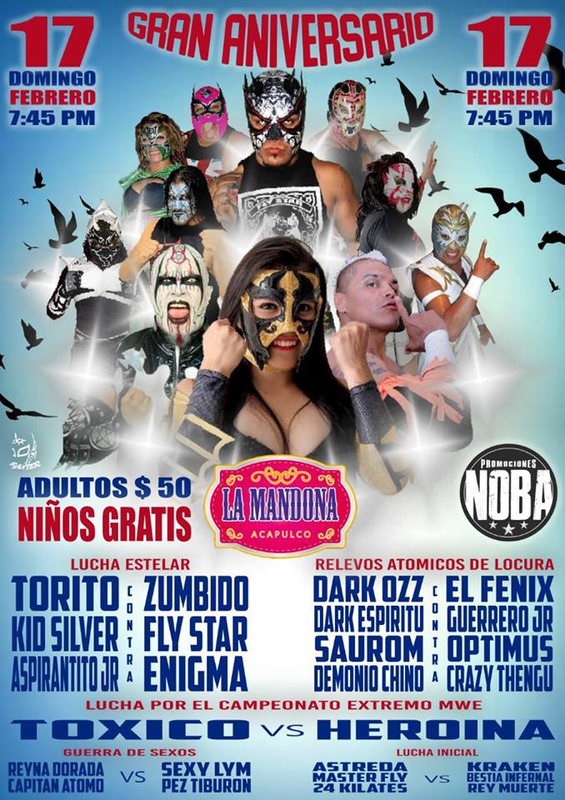 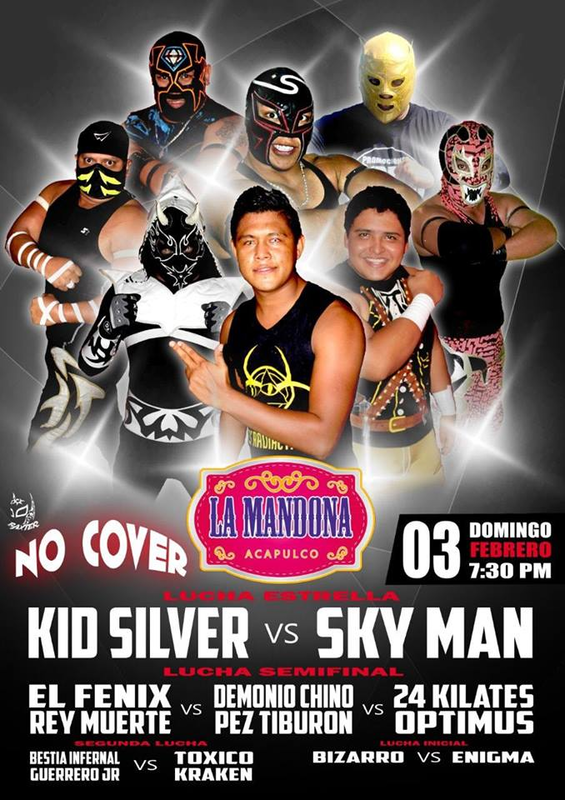 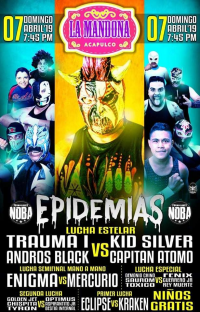 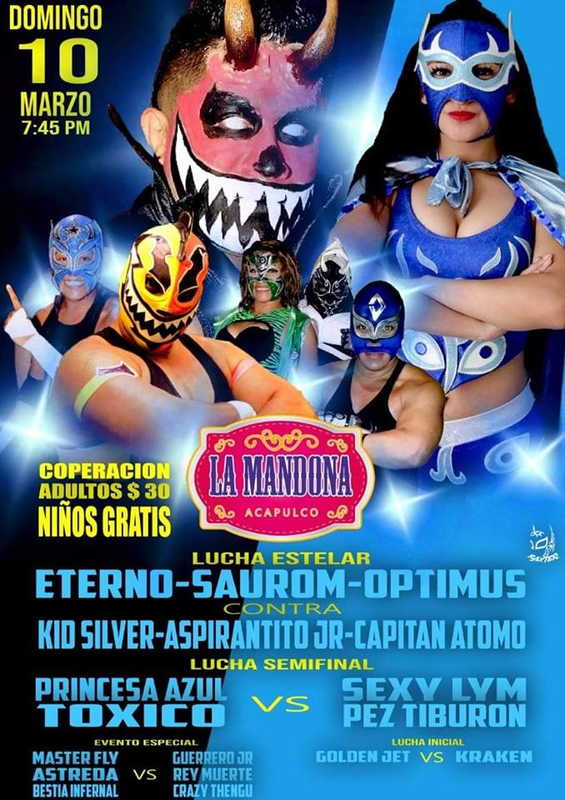 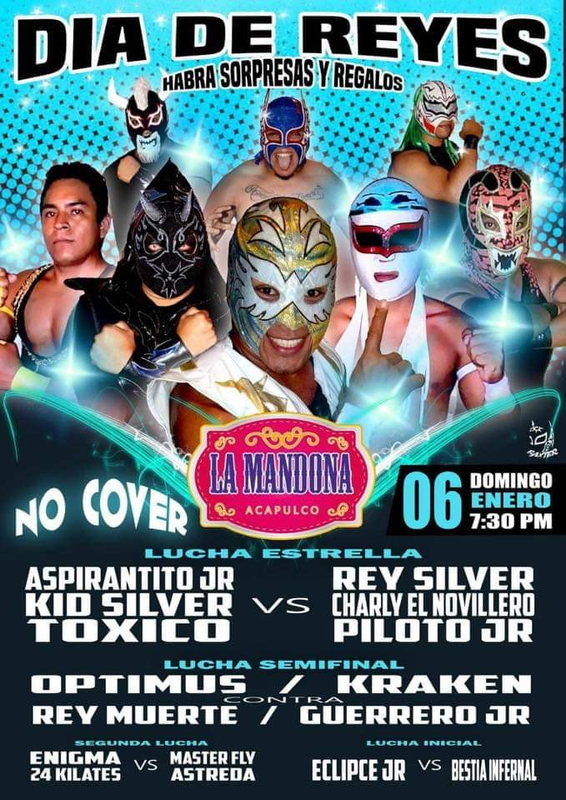 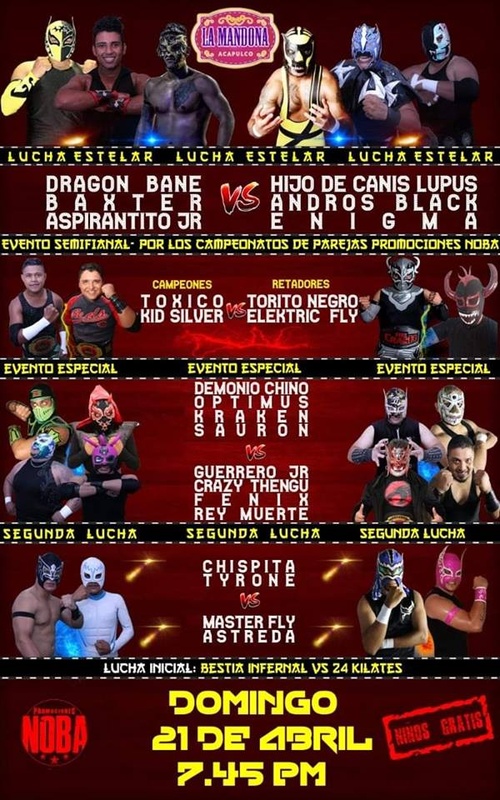 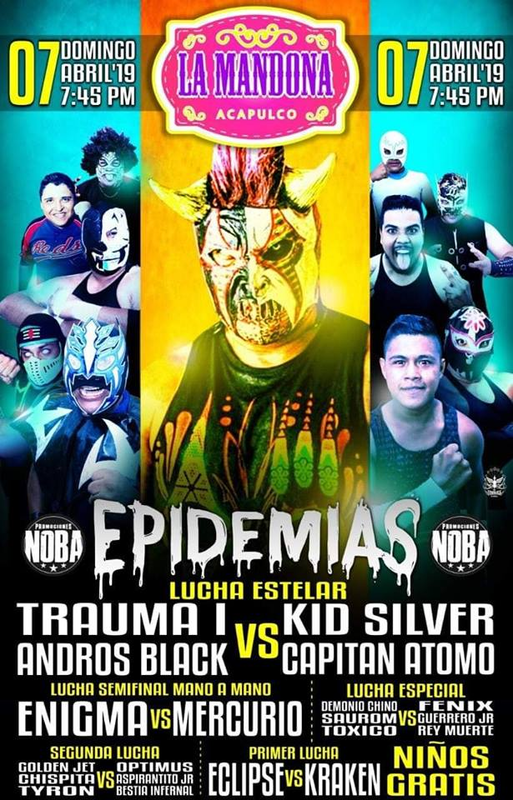 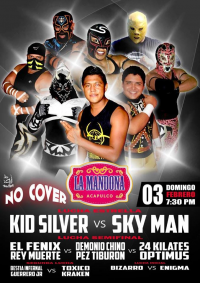 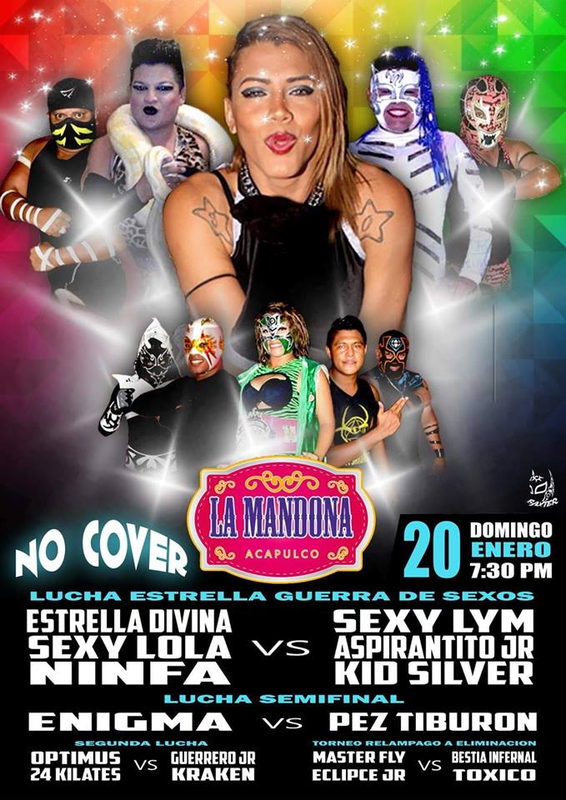 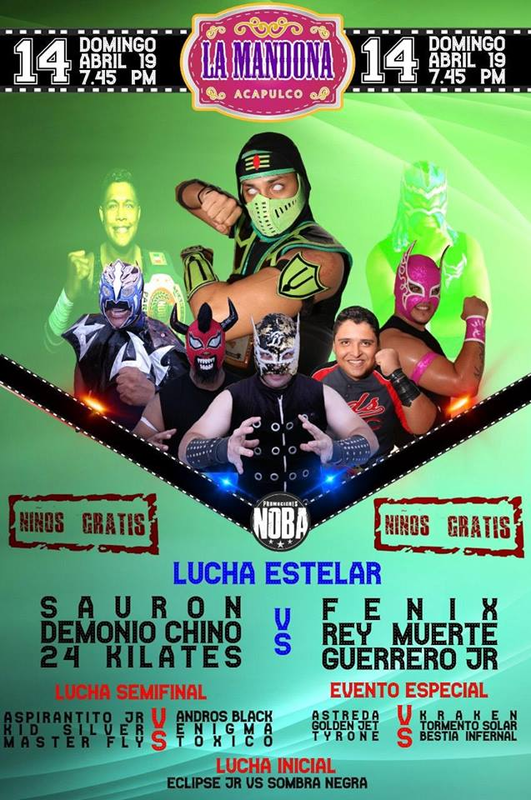 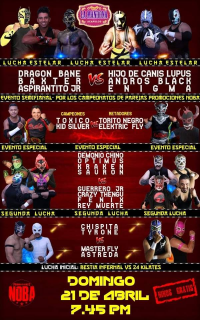 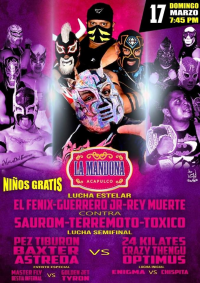 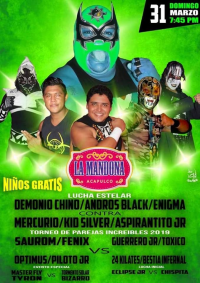 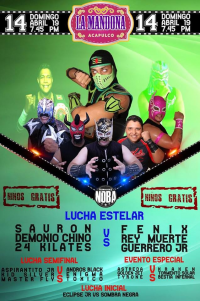 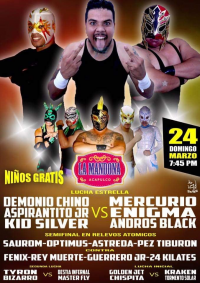 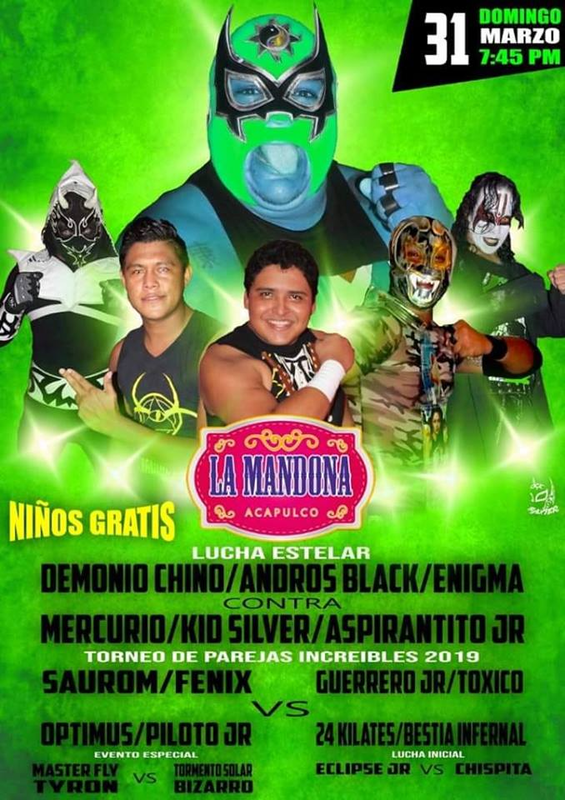 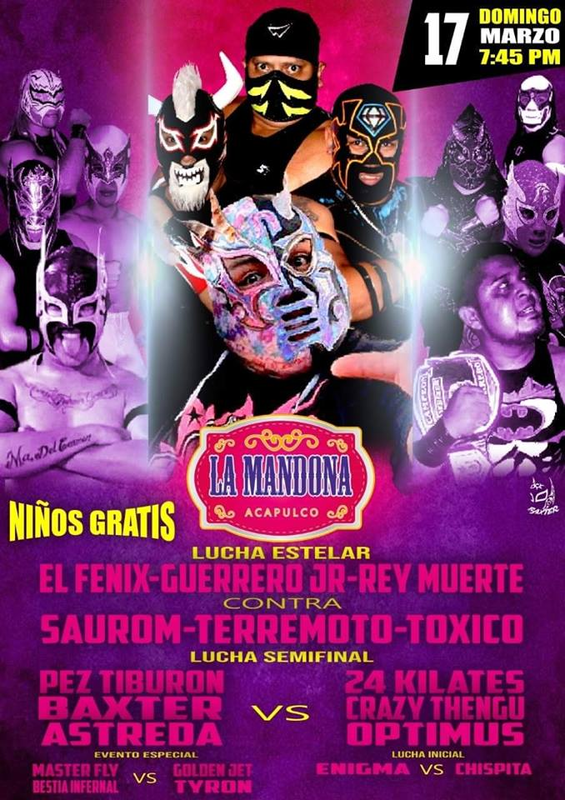 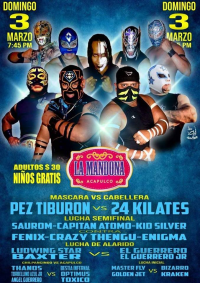 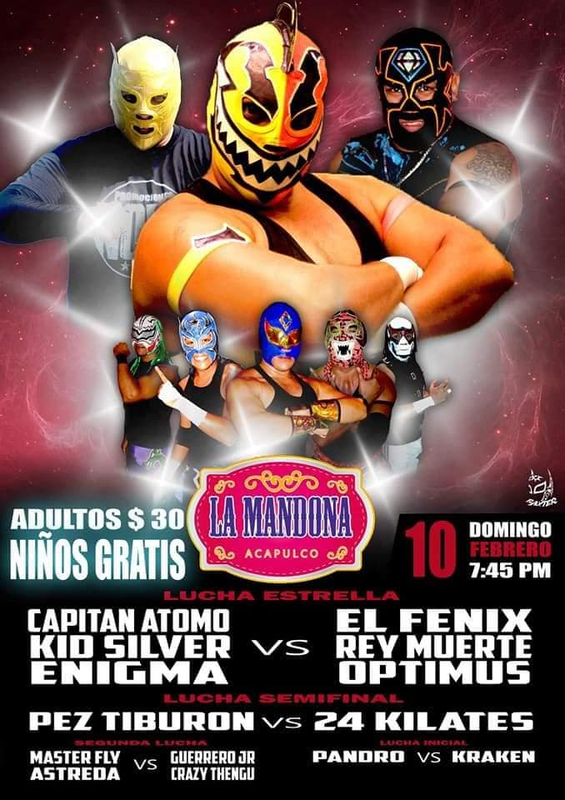 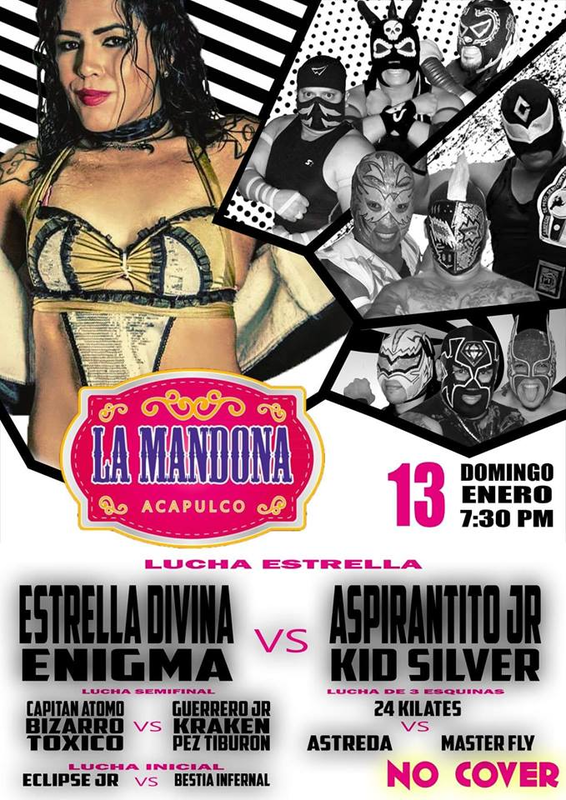 2) Astreda & Master Fly vs Crazy Thengu & Guerrero Jr.